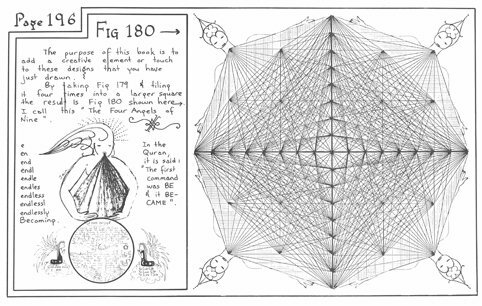 This unique and original “Draw-Your-Own-Mandala-Join-The-Dots-Colouring-In-Activity-Book” is equally suitable for children and adults. 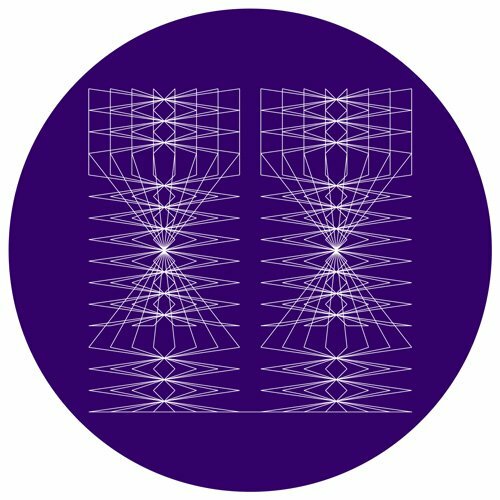 Just by drawing a long, continuous line from 1 to 2 to 3 etc to the last number of a M.Sq., superb patterns appear, creating sacred symbols from many cultures and verging on Atomic Art. 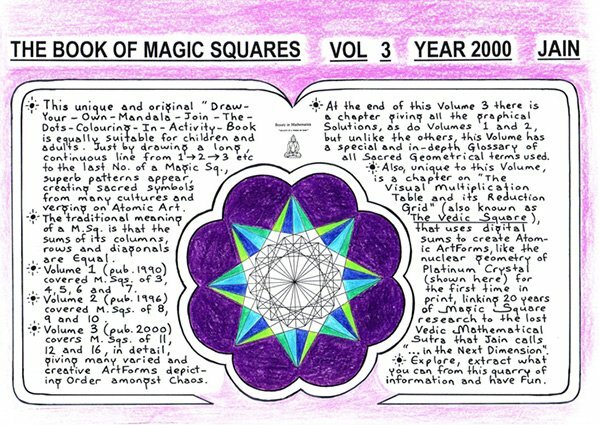 The traditional meaning of a M. Sq. 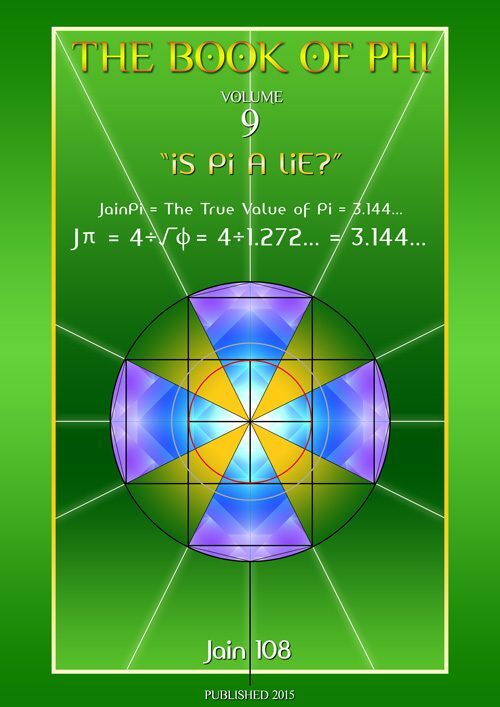 is that the sums of its columns, rows and diagonals are Equal. 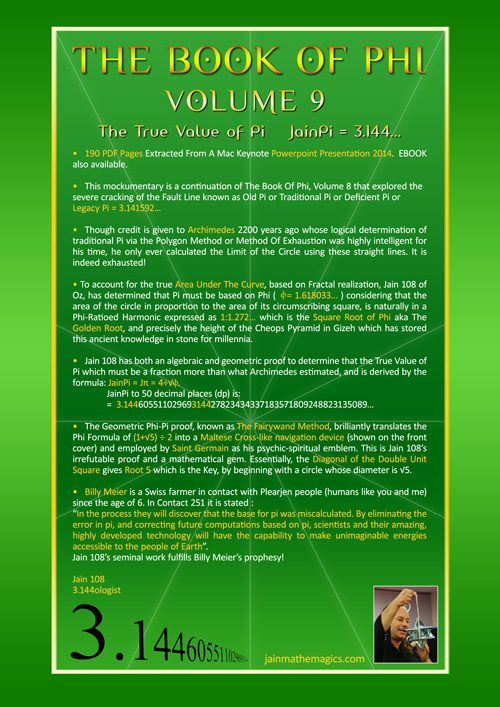 Volume 1 (pub. 1990) covered m. sqs. of 3, 4, 5, 6, and 7. 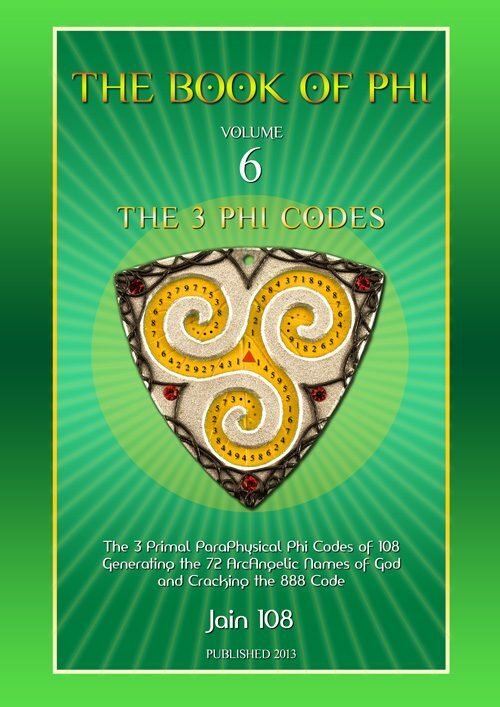 Volume 2 (pub. 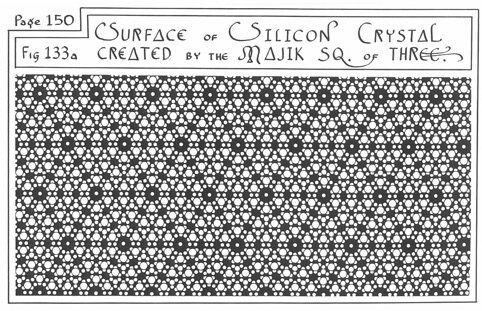 1996) covered m. sqs. of 8, 9 and 10. 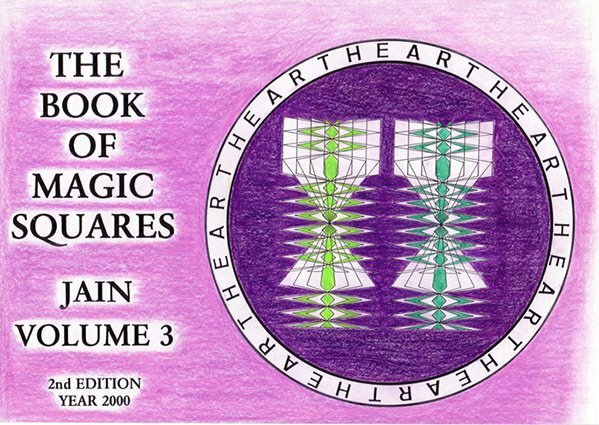 Volume 3 (pub. 2000) covers m. sqs. 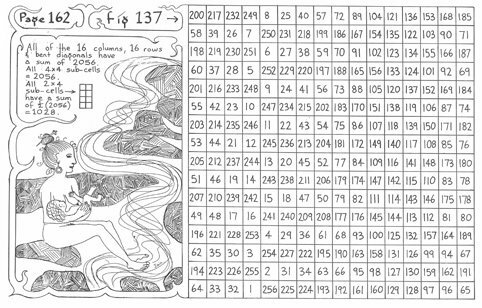 of 11, 12and 16, in detail, giving many varied and creative ArtForms depicting Order amongst Chaos. 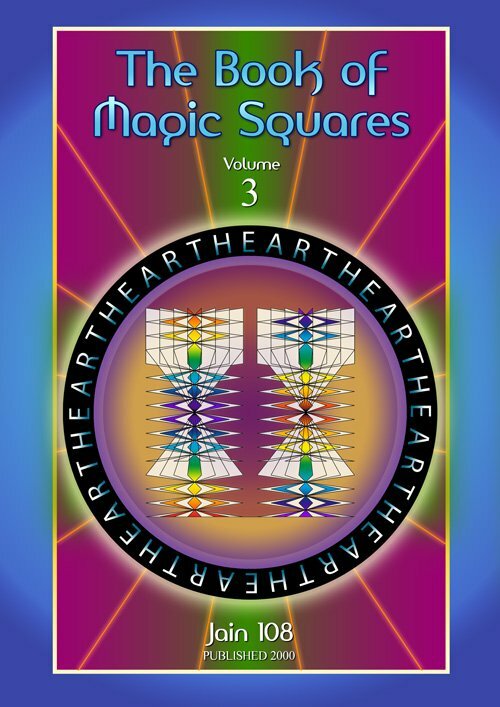 At the end of this Volume 3, there is a chapter giving all the graphical Solutions, as do Volumes 1 and 2, but unlike the others, this volume has a special and in-depth Glossary of all Sacred Geometrical terms used. 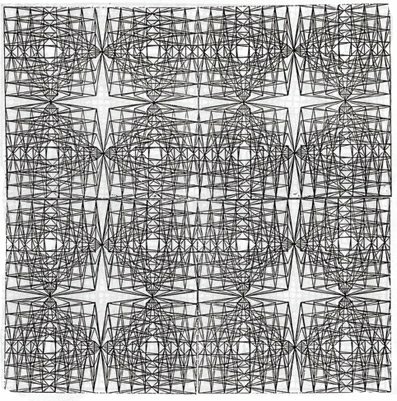 This book contains 185 photocopied pages, is hand-written, highly illustrated, the book is a golden rectangle but fitted or orientated to A4 landscape , and wire bound. 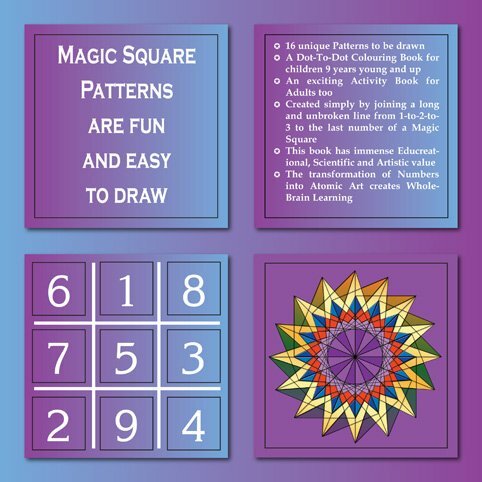 This book continues where Book 2 finishes and consists of the Magic Squares of 11, 12 and 16. In Chapter 11, one particular M. Sq. 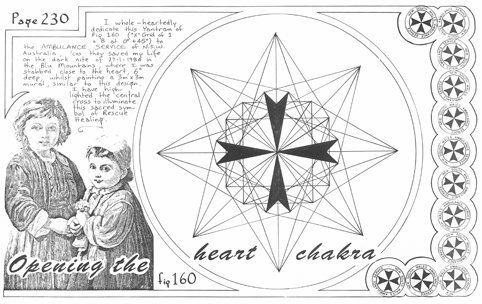 Pattern or Yantra corresponds or looks similar to the Earth Grid as delineated by Bruce Cathy in his books Harmonic 33 and Harmonic 695 etc. 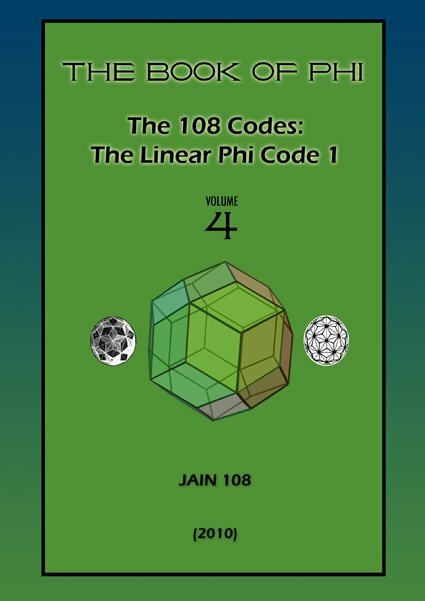 There is also a fascinating chapter on the Vedic Square known in this book as “The Visual Multiplication Table and its Reduction Grid”. 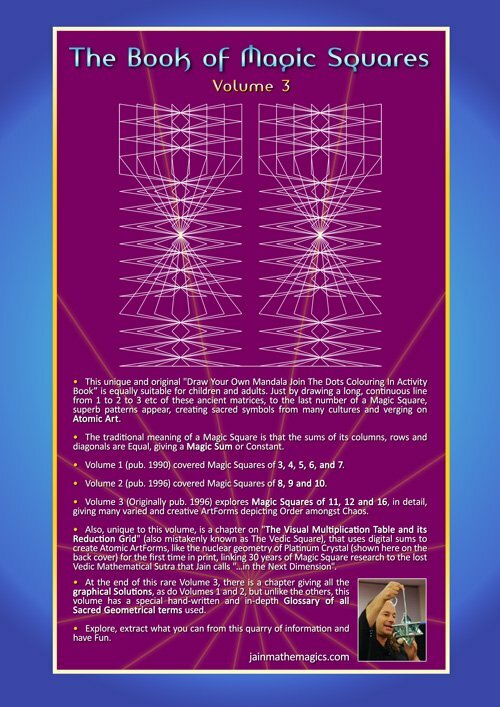 By mere application of a Vedic Sutra where we add the double digits of the Times Table and reduce them to single digits from 1 to 9, a whole universe of Atomic Structures are revealed. 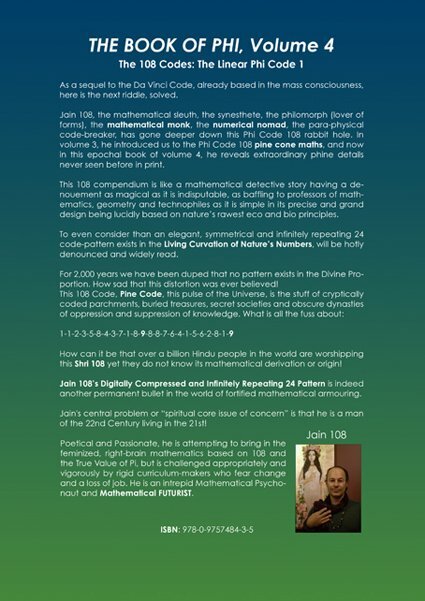 Jain has spent 25 years teaching this in schools around Australia as part of his traveling Maths Enrichment Show called “Mathemagics”. 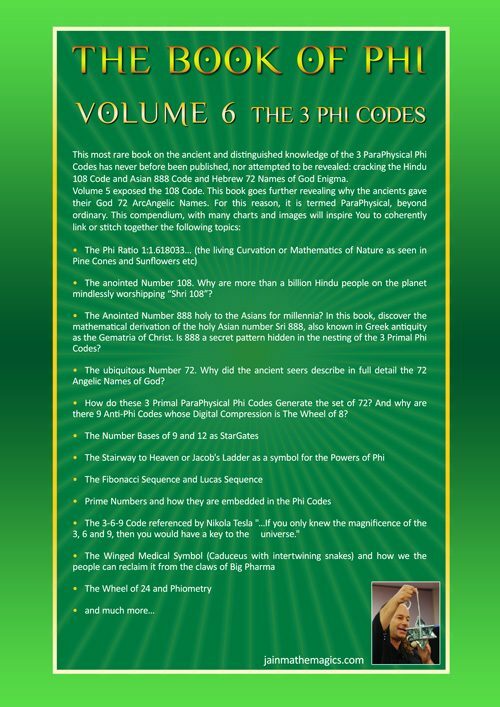 There is a lengthy and informative Glossary in the end section of this book not found in any of the other books. (thanks to Aurel of www.luminaya.com for the front and back covers photoshopped). 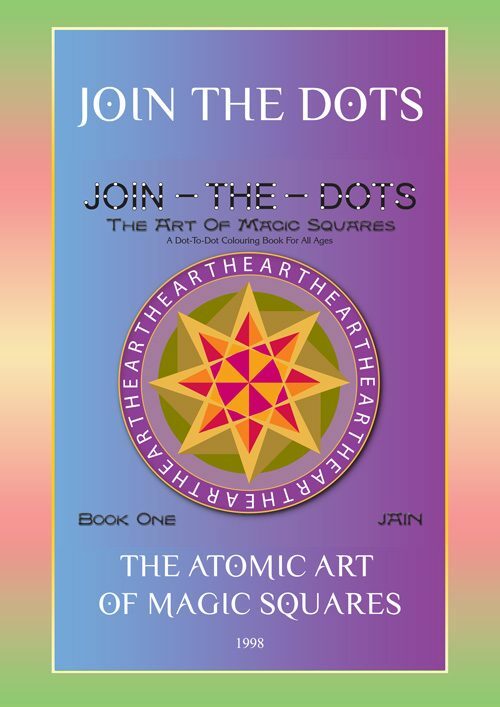 Also, unique to this volume,is a chapter on “The Visual Multiplication Table and its Reduction Grid” (also known as The Vedic Square), that uses digital sums to create Atomic ArtForms, like the nuclear geometry of Platinum Crystal (shown here on the back cover) for the first time in print, linking 20 years of Magic Square research to the lost Vedic Mathematical Sutra that Jain calls “…in the Next Dimension”. Explore, extract what you can from this quarry of information and have Fun. then tiled or tessellated 4 times. 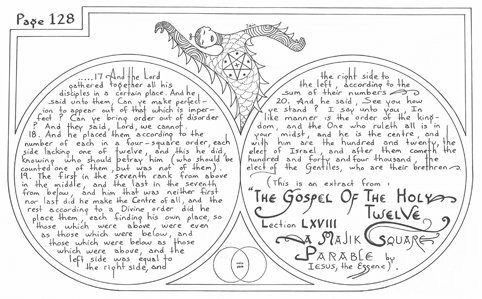 Extract from “The Gospel Of The Holy 12” Essene Text relating to a Magic Square Parable of the Seven Palms. 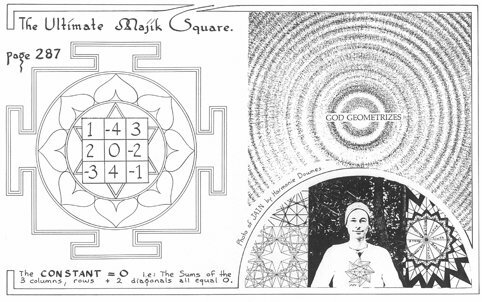 My favourite Magic Square, the Magic Square of Zero. Utilizing the numbers from minus four (-4) to plus four (+4). 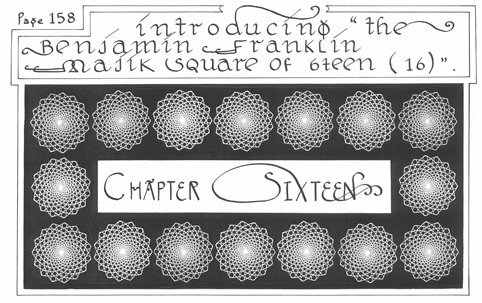 Franklin Magic Square of 16×16 at 0 degrees, line drawing in circle.